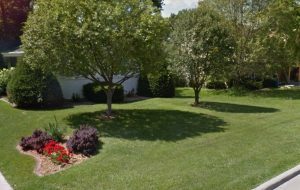 There are many benefits to having quality sod at your home or business. A great looking lawn can increase the value of the property, muffles noise, and filters dirt from your home. For these reasons Minnesota homeowners contact Deer Creek Turf for all their Edina sod delivery and installations. We have been in the business for over twenty five years, and our main goal is to provide our customers with exceptional customer service and quality products. We provide an array of services to meet the needs of our customers. As a family owned and operated business, we believe in strong relationships within our community. We always hope that a new customer returns, and we strive for this by providing professional and courteous service that goes the extra mile! Edina started out as being a farming and milling city, but today the city has a population of nearly 50,000. The motto for the city is “For Living, Learning, Raising Families and Doing Business”. The city was founded in the 1860’s, then was incorporated in 1888. The city was named after the Edina Mill. There are many different venues and activities that the entire family can enjoy in this city. One of the most popular activity to do for the family is at Centennial Lake Park. Centennial Lake Park has an 18-hole putting golf course, croquet, lawn bowling, and paddle boating. There is a twenty four acre pond and ten acre lake with plenty of benches to enjoy the beauty at this park. There is so many different fun and exciting activities at Centennial Lake Park that you will need to return a second day to enjoy all these activities. The dining and shopping district in the city is at 50th and France Street. The sidewalks are lined with flowers and street lamps that welcome each visitor and guest. The Edina Grill and the Arezzo Ristorante are two of the top places to dine in this area. The Bluebird Boutique, Bumbershute, and Parc Boutique are just a few of the favorite boutiques and shops that visitors can pick up unique and amazing clothes and items. The number one art fair in the state is held at 50th and France Street, which is the Edina Art Fair. 2017 will be the 50th anniversary where visitors from across the country come to enjoy the arts that are displayed in the city. Edina, Minnesota is a thriving and exciting city that keeps thousands of visitors coming each year. Deer Creek Turf is the sod supplier that Edina homeowners contact for all their needs. Contact us today and we can assist you in providing you with a lawn that you can be proud of. If you are looking for updates on our work doing sod installation in Edina, be sure to visit this page often. A few months ago we got a call from a homeowner that had just had a home addition built. They wanted to replace some of their lawn with shrubs placed in mulch. They called us for sod installation in Edina. We brought the mulch, replaced parts of their lawn next to their paver patio, transplanted the shrubs, and resodded some small portions of the yard around the patio. 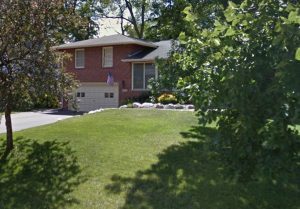 They were thrilled with how their home addition, hardscaping, and new landscaping turned out. The crew arrived at the Edina home and started working on the shrubs first. They dug out the shrubs carefully so that the roots were not compromised, then the crew added some mulch, and then they replanted the shrubs. Once the shrubs were planted the crew added mulch around the shrubs. The crew then started working on the areas around the paver patio. They started clearing the old grass and debris, then they added a rough grade to the area, which would assist the ground into draining properly. We added fertilizer to the area, then the crew started cutting out the sod that would be laid in the area. Once the sod was laid, the crew watered the sod thoroughly. The crew returned the following day to finish the sod project. They started working on the lawn around the patio. The crew removed the current grass to get to the soil, then they cleaned the ground to remove all debris and small rocks. The crew then added a rough grade to the area, again for draining for the sod. They added fertilizer, so the sod would grow properly. The crew then started laying the sod one by one. The crew made sure that they didn’t overlap the sod and they also made sure the sod was laid flat without any air bubbles, bumps, or creases in the sod, then the crew watered the sod for approximately thirty minutes and about an inch of water because it is very important that the sod has plenty of water so it can firmly root, which would take about two weeks. The crew let the homeowner’s know that their landscaping was done, then they let the homeowner’s know that they should water the sod each day for thirty minutes for at least two weeks, then they would only have to water the sod every few days. The crew let the homeowner’s know that during the hot summer months that it is vital for the sod to be watered so it could survive and grow properly and around the patio it should be watered a little longer because the paver patio would reflect heat and this could make the sod become very dry. The customer’s was very happy with the look of their yard.